My artwork takes a contemporary look at the American West from a realistic, unromantic perspective. My journey as an artist has taken a multitude of paths as my life has been one adventure after another. After 40 years as a criminal defense attorney in New Mexico, I began a new life and career as an artist. I had always painted, and much of my earlier artistic career focused on rodeos and rodeo cowboys. 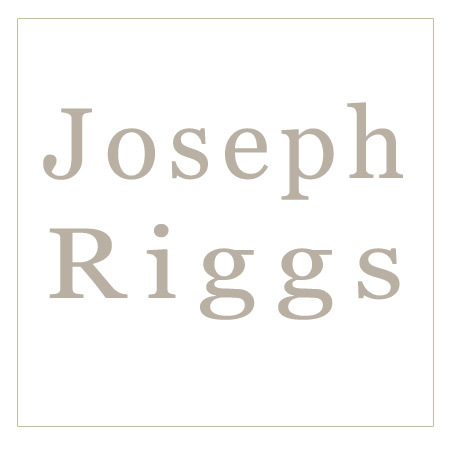 I retired from the practice of law in 2014, and moved to Santa Fe, New Mexico. In 2015, I had the good fortune to have an artistic life-changing experience. I spent six weeks in Paris, France experiencing life as a Frenchman. I walked the streets of Picasso, Cezanne, Monet, Van Gogh, and so many others of the Impressionism and Post-Impressionism period. And I learned one of the important lessons taught by these Masters. “Paint what inspires you, and, if luck smiles upon you, someone else might love it enough to buy it.” I determined to follow that path. I returned to New Mexico with a new perspective. I wanted to experiment with new materials and new subjects. I wanted to see where my inspirations led. My new paintings began to focus on what I loved most about New Mexico and the Southwest. The sky has always fascinated me, both the daytime sky and the nighttime sky with its millions of stars. I began to paint Native American subjects which had been a mystery to me since my childhood in Texas. And, I began to feel the spirit of Picasso, Paul Cezanne, Juan Gris, Georges Braque and Albert Gleizes – whose spirit had guided me in Paris. I had always loved Cubism, and its roots with Cezanne. And it was fitting that it is now the 100th anniversary of this 20th Century art movement. Could I combine these spiritual influences, and make them my own, and like what I was painting? Could I follow the storied Southwest Modernism movement of Georgia O’Keeffe, Marsden Hartley, Raymond Jonson, Andrew Dasburg, John Marin, and Cady Wells? Could I put all of these influences together, and carve a new artistic path? I determined to try. “The Spirit of Taos Mountain”, pictured above demonstrates both my process and my subjects. 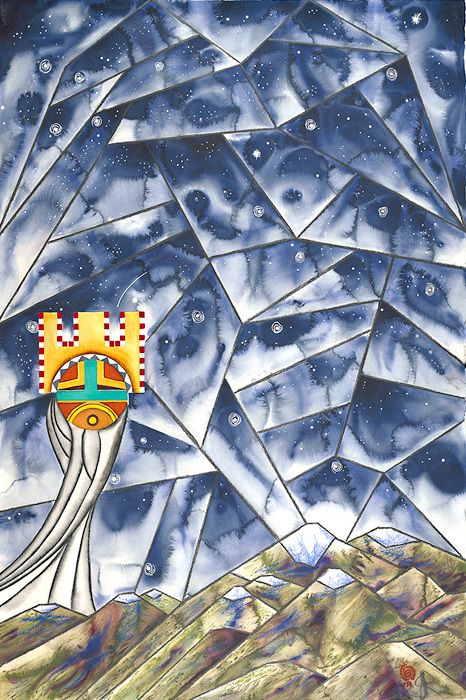 I combine the land of Taos Mountain, the Southwestern sky, and a Kachina Mask with the concepts of Cubism.